Today marks a full 20 years that have passed since our founder Todd Brown’s accident, which ultimately led to his idea to create 180 Medical. While it’s not an anniversary we celebrate, we want to take a moment to reflect back on the past twenty years and accentuate the positive outcome after his accident. Many of you may know by now what an inspiring life Todd has led thus far. From an early age, he was very active and participated in various sports like basketball and track. He grew up around motorcycles. His dad was involved in a sport called motocross, which is a physically-demanding, fast-paced form of motorcycle racing on mostly off-road, closed courses. “Me and my brother started racing from a very young age,” said Todd, recalling his passion for the sport. Then in 1994, after graduating college and marrying his wife Annette, a tragic accident during a motocross jump left Todd with a T-7,8 spinal cord injury. He was only 25 years old, and now, he was paralyzed from the waist down. While in the hospital, Todd called his closest friends and family to let them know what had occurred. His wife and family rushed to be by his side, and one thing people noticed was that his indomitable spirit had not been dampened. He basically said, ‘Well, God put this in front of me and gave me some challenges,’ and it didn’t make a difference to him. Todd knew his life would never be quite the same as it was before his motocross accident that left him paralyzed, but he was determined to persevere. “I had a business, I had a family, and I was just trying to get out of rehab,” Todd said, recalling those difficult first few months. Part of the difficulties he faced as a new paraplegic was nearly constant UTIs (urinary tract infections) from cleaning and reusing his red rubber catheters, as he’d been instructed to do while in rehab. The infections were negatively impacting the quality of his life, and on top of that, he had to deal with medical supply companies who didn’t seem to understand his condition or care, and he had to deal with frequent trips to the doctor and constant doses of antibiotics due to his UTIs. Feeling worn down and tired of being sick, Todd knew there had to be a better way. Despite all of that, the drive to stay active was still inside Todd, so he began doing wheelchair races. He participated in his first wheelchair marathon just six months after his motocross accident. One day, a fellow athlete friend talked to Todd about his issues with frequent UTIs and asked if he’d ever heard of sterile-use catheterization (which is the process of using a catheter one time and then disposing of it, versus reusing after cleaning it) and gave him a closed system catheter to try out. Todd’s health began to improve, and he realized that, with continued use of the right equipment and the right techniques, his quality of life had done a 180 degree turn back in the right direction. It was not long after this that Todd decided he wanted to start a company that would be able to provide the right equipment, great service, and education to anyone who needed catheters and other supplies. It was a leap of faith, and he and his wife didn’t have much starting out, but Todd was ready to make his dreams a reality, so they started their medical supply company out of their own garage. Todd just knew he could make a difference in others’ lives. 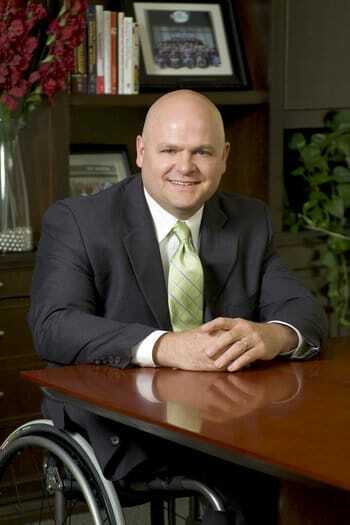 Over those 20 years since Todd’s accident, he has not only started 180 Medical, which is one of the fastest-growing, nationally-accredited providers of sterile use catheters and ostomy supplies, he has also accomplished much more. He and his wife are both strong advocates for adoption. 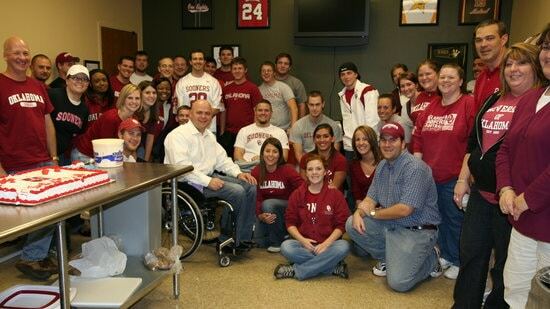 He still takes times to visit spinal cord injury patients in rehab, and he will often mentor the newly injured. Even with his continually growing business, he finds time for his family and his passions, like fishing, hand-cycling, snow-skiing, and staying active in his church. Todd’s story inspires everyone who hears it. He is a driven and kindhearted individual who turned a negative into a positive by working hard to start a successful business, and he achieved his goal of turning lives around through 180 Medical. 180 Medical’s founder and CEO Todd Brown has been named one of The Journal Record’s Most Admired CEOs. 180 Medical’s 15th corporate anniversary is coming soon on August 27, 2002, and we’re celebrating all week. Find out more about what sets 180 Medical apart from other companies! Take a look into 180 Medical’s beginnings and learn about our founder Todd Brown’s incredible story.